The XFlare is an easily programmable LED multi-tool—both a powerful 1200 lumen multi-color strobe and a 750 lumen flood light. 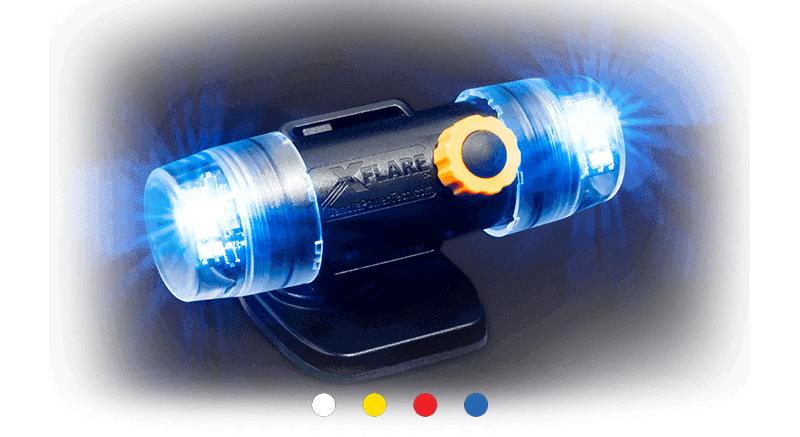 The XFlare strobe is many times brighter than its closest competitor—adding significantly to the prospect of being found if lost and being seen in everyday and emergency situations. In flood light mode, the bright, but even, light pattern is perfect for illuminating workspace on the job, around the house or outdoors. 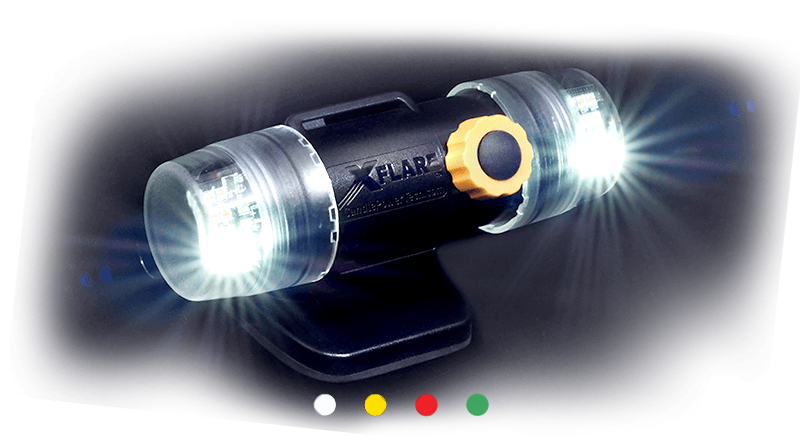 The XFlare is easily programmed to use any of the four colors of LEDs in any combination—Flood Mode and Strobe Modes. That’s 5 color combinations for Flood and 10 for Strobe! 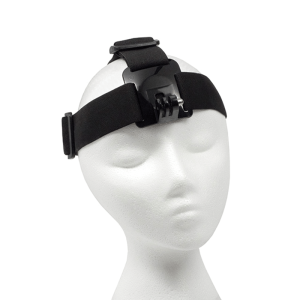 Both modes can be programmed for low or high output with run times up to 48 hours. 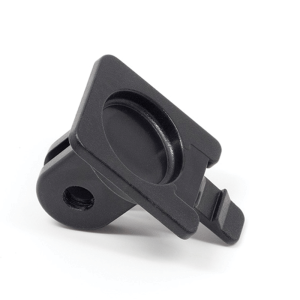 The XFlare firmware is field upgradeable via USB. 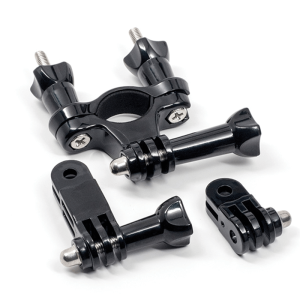 The XFlare can be mounted anywhere—the supplied GoPro adapter makes it compatible with all GoPro accessories and mounts. 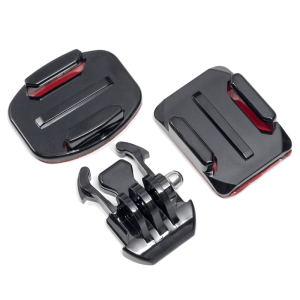 Kit includes a GoPro Adapter, velcro strap, belt clip and adjustable magnetic mount. 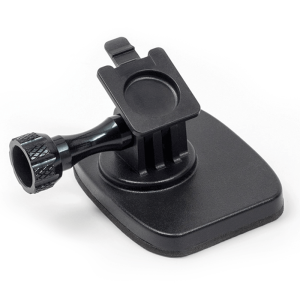 Options include bike mount, headstrap and adhesive mounts for flat and curved surfaces. 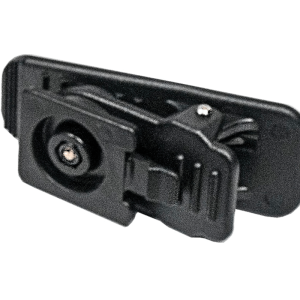 The XFlare comes with a built-in 3400 mAH rechargeable liON battery with a micro USB changing cable. After 12.5 years dormancy, the battery will still have 50% charge! The XFlare operates in temps from -50 -140 F and is totally waterproof—submersible to 100 ft. 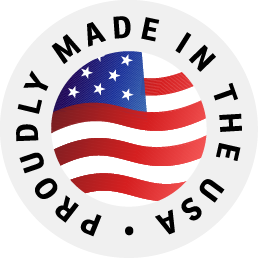 The polycarbonate housing is drop tested to 6 ft.